This little “trick” brings together two of the most potent aspects of this holiday: the balancing of the earth’s gravity midway between the extremes of light and dark at Winter and Summer Solstice; and the symbolism of the egg. The egg is one of the most notable symbols of Easter, but, as someone who was raised Catholic and who was never told exactly why we colored eggs at Easter, or why there was a bunny who delivered candy to us, or why it was traditional to buy new clothes to wear for church on Easter Sunday, I always wondered about this holiday. As with many of the seemingly unrelated secular symbols and traditions of Christmas (what do evergreen trees, mistletoe, reindeer and lights have to do with the birth of Christ? You might wanna read “You Call It Christmas, We Call It Yule” for an exploration of these connections), Easter too has adapted many ancient pagan symbols and customs in its observance. Easter gets its name from the Teutonic goddess of spring and the dawn, whose name is spelled Oestre or Eastre (the origin of the word “east” comes from various Germanic, Austro-Hungarian words for dawn that share the root for the word “aurora” which means ” to shine”). Modern pagans have generally accepted the spelling “Ostara” which honors this goddess as our word for the Vernal Equinox. The 1974 edition of Webster’s New World Dictionary defines Easter thus: “orig., name of pagan vernal festival almost coincident in date with paschal festival of the church; Eastre, dawn goddess; 1. An annual Christian festival celebrating the resurrection of Jesus, held on the first Sunday after the date of the first full moon that occurs on or after March 21.” The Vernal Equinox usually falls somewhere between March 19th and 22nd (note that the dictionary only mentions March 21st, as opposed to the date of the actual Equinox), and depending upon when the first full moon on or after the Equinox occurs, Easter falls sometime between late-March and mid-April. Because the Equinox and Easter are so close, many Catholics and others who celebrate Easter often see this holiday (which observes Christ’s resurrection from the dead after his death on Good Friday) as being synonymous with rebirth and rejuvenation: the symbolic resurrection of Christ is echoed in the awakening of the plant and animal life around us. But if we look more closely at some of these Easter customs, we will see that the origins are surprisingly, well, pagan! Eggs, bunnies, candy, Easter baskets, new clothes, all these “traditions” have their origin in practices which may have little or nothing to do with the Christian holiday. 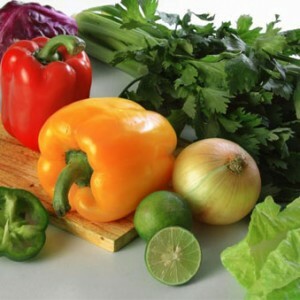 Modern pagans can observe these same customs by eating the fresh greens and early vegetables abundant now: dandelion greens, nettles, asparagus, and the like. There are some Witches who believe that fasting at the Equinox is very healthy and magical: it clears away all the toxins stored over winter, when we eat heavier foods to keep warm, and can create an altered state of consciousness for doing Equinox magic. By eliminating all the “poisons” from our diets for a few days (including sugar, caffeine, alcohol, red meats, dairy products, refined foods), and eating lots of fresh fruits and vegetables, we not only can shed a few pounds and improve the appearance of our hair and skin, but also improve our health over the long term. The overall benefit to health from an occasional cleansing fast helps strengthen our immune system, making our bodies more resistant to illness, and help us feel more alert and energetic. Try it! Be sure to “break” your fast slowly, reintroducing your normal foods one at a time, instead of going from several days of fruits, grains and herbal tea to a feast of steak, potatoes and chocolate cake! The breaking of the fast can be incorporated into the cakes and wine portion of your ritual, or at the feast many Witches have afterwards. 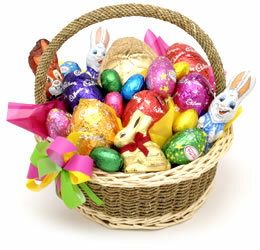 Speaking of food, another favorite part of Easter for kids, no doubt, is that basket of treats! Nestled in plastic “grass” colored pink or green, we’d find foil-wrapped candy eggs, hollow chocolate bunnies, jelly beans, marshmallow chicks (in pink, yellow or lavender! ), fancy peanut butter or coconut eggs from Russell Stover, and of course our Mom always included one of the beautiful ceramic eggs she painted by hand. Like that other holiday where children are inundated with sugar (Hallowe’en), no one seems to know precisely where, when or how this custom began. And why are the baskets supposedly brought by a bunny??? There are some modern Witches and pagans who follow traditions that integrate the faery lore of the Celtic countries. It is customary to leave food and drink out for the fairies on the nights of our festivals, and it is believed that if the fairies are not honored with gifts at these times, they will work mischief in our lives. Certain holidays call for particular “fairy favorites.” At Imbolc/Oimelc (February 2nd), for example, we leave gifts of dairy origin, like cheese, butter or fresh cream. At Lammas/Lughnasa (August 1st) we leave fresh grains or newly-baked bread. At Samhain, nuts and apples are traditional. And at Ostara, it is customary to leave something sweet (honey, or mead, or candy)–could this be connected to the Easter basket tradition? Perhaps a gift of sweets corresponds to the sweet nectar gathering in new spring flowers? To refer again to The Wicker Man, the post office/candy shop where May Morrison works (she is the mother of Rowan Morrison, the young girl who is supposedly missing and who Sargent Howie has come to Summerisle to find) offers a large selection of candies shaped like animals. When Sargent Howie says “I like your rabbits” Mrs. Morrison scolds him saying “Those are hares! Lovely March hares, not silly old rabbits!” And when Howie goes to dig up the grave of Rowan Morrison (who it turns out is neither dead nor missing) he finds the carcass of a hare, and Lord Summerisle tries to convince him that Rowan was transformed into a hare upon her death. Clearly this is an illustration of the powerful association with animals that many ancient cultures have (Summerisle being a place where time has seemingly stood still and where the pagan pursuit of pleasure and simple agricultural ways define the way of life). The forming of candy into the shape of rabbits or chicks is a way to acknowledge them as symbols; by eating them, we take on their characteristics, and enhance our own fertility, growth and vitality. 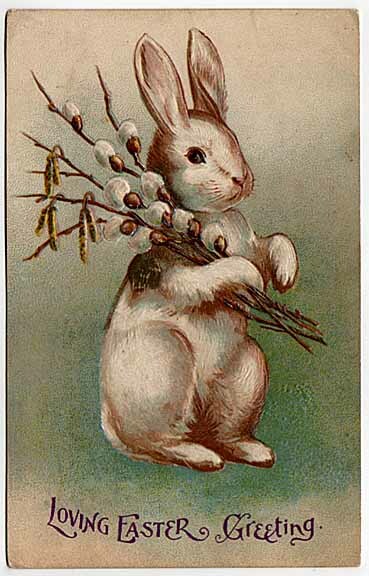 For clearly the association of rabbits with Easter has something to do with fertility magic. Anyone who has kept rabbits as pets or knows anything about their biology has no question about the origin of the phrase “f*** like a bunny.” These cute furry creatures reproduce rapidly, and often! Same with chicks, who emerge wobbly and slimy from their eggs only to become fluffy, yellow and cute within a few hours. 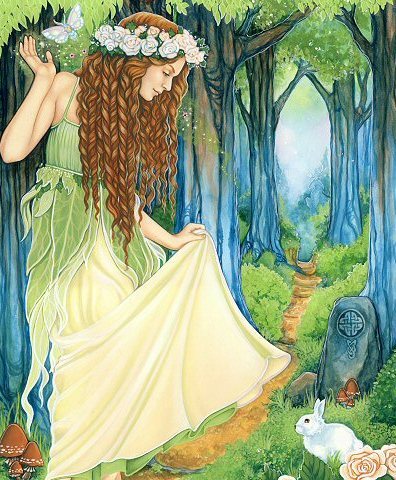 The Easter Bunny may well have its origin in the honoring of rabbits in spring as an animal sacred to the goddess Eastre, much as horses are sacred to the Celtic Epona, and the crow is sacred to the Morrigan. 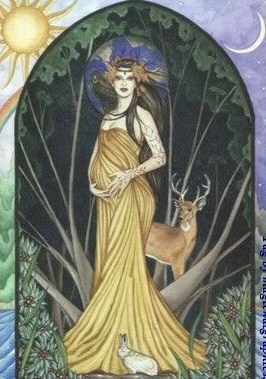 As a goddess of spring, she presides over the realm of the conception and birth of babies, both animal and human, and of the pollination, flowering and ripening of fruits in the plant kingdom. Sexual activity is the root of all of life: to honor this activity is to honor our most direct connection to nature. I have always thought this had a lot to do with the tradition of wearing newly-bought or made clothes at Easter, in pastel spring colors. Wearing such colors we echo the flowering plants, crocus, lilac, forsythia, bluebells, violets and new clothes allow us to feel we are renewing our persona. How many of us feel sort of “blah” after winter ends? Along with the fasting practice mentioned earlier, this is a time for many of us to create new beginnings in our lives: this can apply to jobs, relationships, living situations, lifestyle choices. But since the Equinox is such a potent time magically, and often (as it does this year) falls in the period when Mercury is Retrograde, starting a new endeavor at this time can be problematic if we do not take care. One good way to avoid catastrophe is to engage in small, personally-oriented rites or activities: a new haircut, a new clothing style or make-up, a new exercise program, the grand old tradition of spring cleaning, a new course of study: all of these are relatively “safe” ways to begin anew without risking the weirdness and unpredictability of Mercury Retrograde. This is a very powerful time to do magic, not only because of the balancing of the earth’s energies, but because of the way our own beings echo the earth’s changes. We are literally reborn as we emerge from our winter sleep, ready to partake of all the pleasures of the earth, and to meet the challenges we will face as the world changes around us daily. 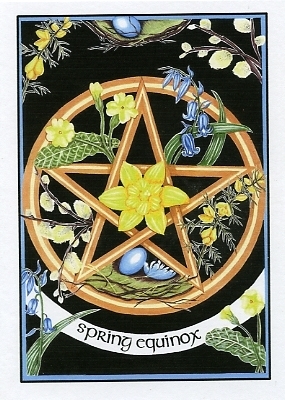 As we greet and celebrate with our pagans brothers and sisters of the Southern Hemisphere (for whom the Vernal Equinox more closely resembles the beginning of autumn, in physical terms! ), we remember that Spring is not only a season; it is a state of mind.